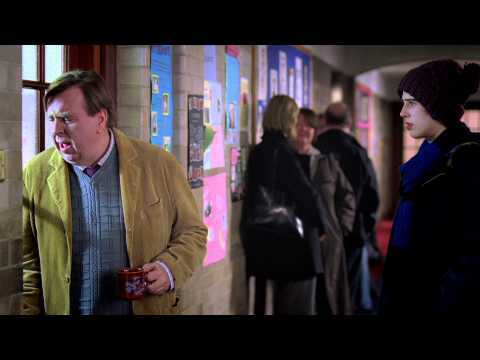 Timothy Spall (l.) and Joseph Phillips are in need of a miracle in Christmas Angel. Timothy Spall (Sweeney Todd) and Brenda Blethyn (TV’s Vera) star in the 2011 Christmas family drama Christmas Angel. Fifteen-year-old Eddie (Joseph Phillips) is on a shopping trip with his mother when she is tragically struck by a car and left in critical condition. With their father absent from their lives, Eddie and his brother Stewart (Angus Harrison, Skins) face the daunting prospect of potentially losing their mother just as Christmas approaches. One night, Eddie dreams his mother visits him and tells him to find a halo so that she may be saved. Stewart scoffs at Eddie’s “childish” dream and the only person Eddie can turn to is the grumpy Mr. Lambert (Spall), from his school. Will Eddie be able to find an angel and save his mother before Christmas? Written and directed by Stephen Cookson, the movie was originally entitled My Angel when it premiered at the Monaco International Film Festival in 2011. It’s release on DVD by BBC marks its U.S. premiere.